The members of the legume family number in the thousands and include beans, peas, lentils, and peanuts. They are some of the least expensive and most nutritious foods on the planet; wonderfully plentiful, easy to prepare, and full of protein, fiber, and nutrients. They’re an excellent choice for those following a meatless diet, but the benefits of legumes extend to your entire body. As the most well-known of the legume family, beans are typically not considered as a first option for meat eaters. 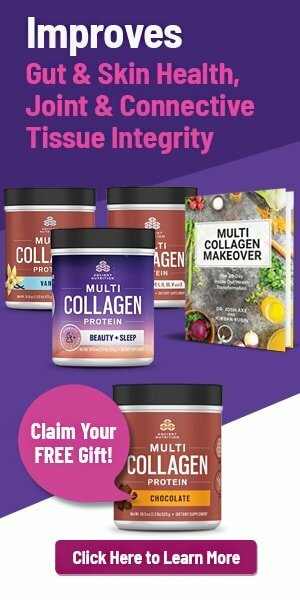 Their lack of a hefty price tag (garnering them a label of “cheap” or somehow unworthy) and often marketed as a “replacement” for meat, has gotten these fantastic foods shuffled to the back of the health food line. There are so many great things about legumes that we had to include them as some of the best cancer-fighting foods. In regards to legumes, you’re probably not eating many of them… but you definitely should be. Active compounds in beans prevent cancer cell formation and slow cancer growth. 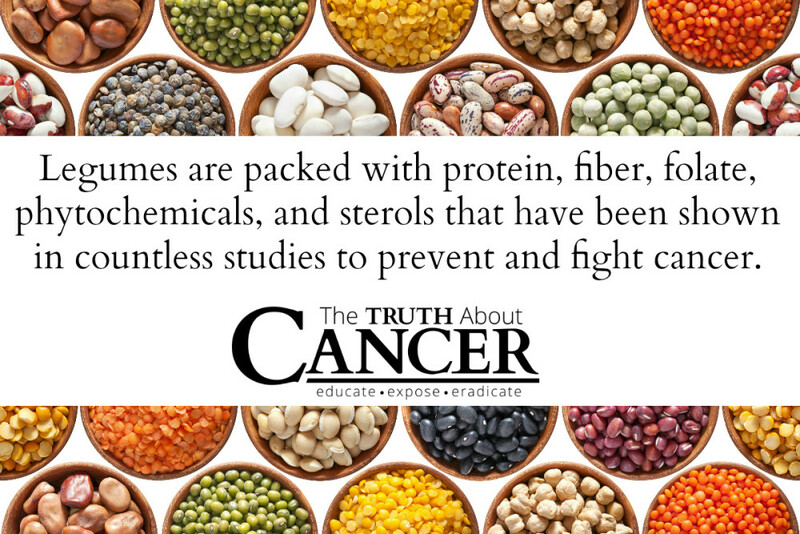 In other words, legumes fight cancer! So, you might have heard about this little thing that happens when you eat beans. The world renowned gas that accompanies beans has made them a joke around the world. The benefits of legumes are hard to reconcile with that inconvenient and embarrassing side effect. The reaction is caused by a substance called oligosaccharides (short-chain sugars and fiber) that your digestive system can have a hard time breaking down. When your gut flora gets at the job they do it well, but the process sometimes causes a potentially awkward result. Aside from the abundant amounts of protein and fiber, beans also provide ample quantities of folate, phytochemicals, and sterols that have been shown in countless studies to prevent and fight cancer. Give beans a chance! The health benefits of legumes coupled with the multitude of delicious recipes you can make with them is going to surprise you! Including beans in meatless meals has never been easier. You have old standbys such as beans and rice, hummus, falafel (as long as it is baked and not fried), chickpea burgers, bean salads, and stews or casseroles that use beans as a primary ingredient. If you enjoy meat in your diet, beans are a great accompaniment. Add them to chili, frittata, or as a topping to your favorite southwest steak salad. When you follow a cancer-free lifestyle, you automatically lower your risk of many other serious diseases that claim the lives of millions every year. Choose your food wisely, eat cleanly, and reap the benefits for decades to come. 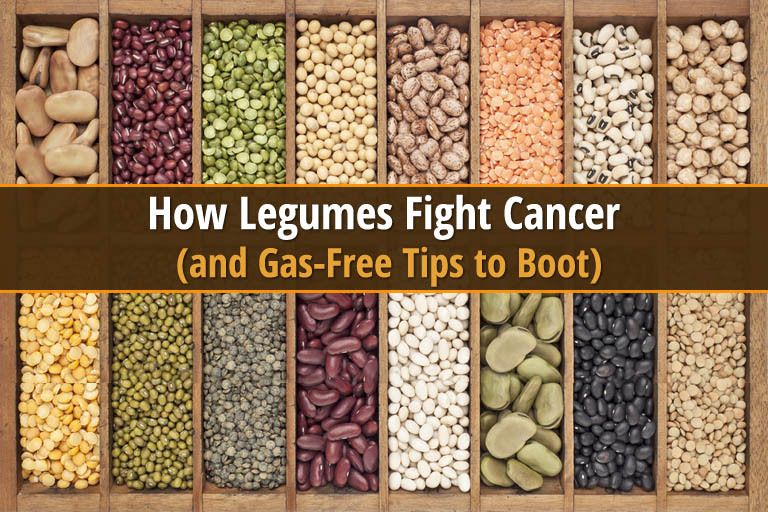 Please help bring more awareness about the cancer fighting benefits of legumes by sharing this article with your friends and family below. I have the confusion with black beans as Ratttlebone stated. Been googling and came to look for answers here. I also am confused about the black beans. I took it as a negative response when referring to black beans in the eposode.I have always heard they are healthy for you. Are they or not ? This confused me, too. He mentioned black beans and mushrooms as having glutamate…which in the context of the discussion, sounded like these two should be avoided. Wish I did, Angela. This has been bothering me since I watched that episode. All grains, dairy and legumes are inflammatory and result in chronic immune response. Furthermore, these foods are hormone disrupters, and the carbohydrates actually promote anaerobic metabolism in cancer cells (which have damaged and reduced mitochondria).